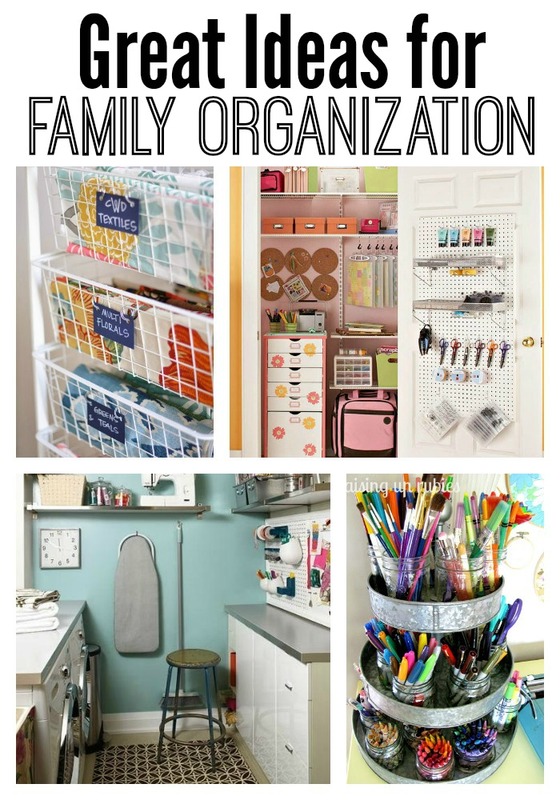 Clever storage and organizing solutions for the entire family! January tends to be a time when EVERYONE seems to purge and organize. 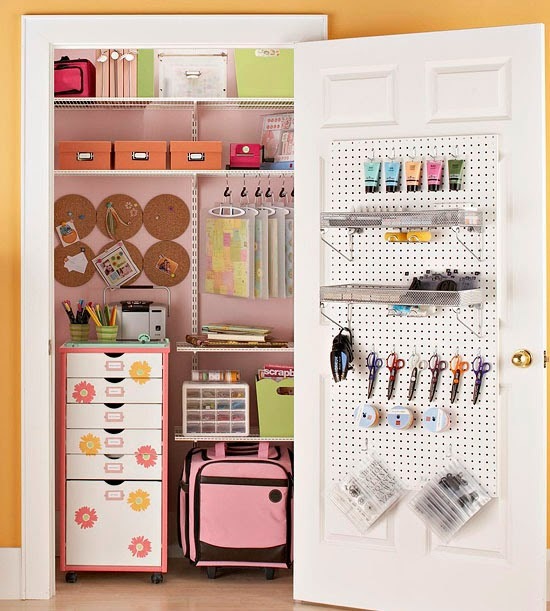 As a family of four, our small house can quickly get cluttered and finding clever storage solutions is a must. This year, one of my main goals is to get our house organized and find a place for everything. I admit, most of the clutter is my own fault. 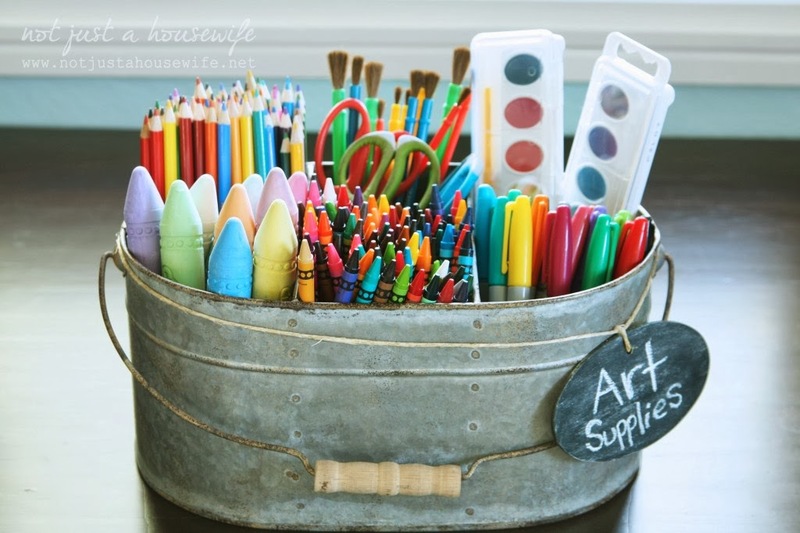 Craft supplies and half done projects seem to end up spread throughout the house. Over the past few weeks, I've been searching for ideas and ways to get organized and found a few inspirational spaces that I wanted to share. 1. 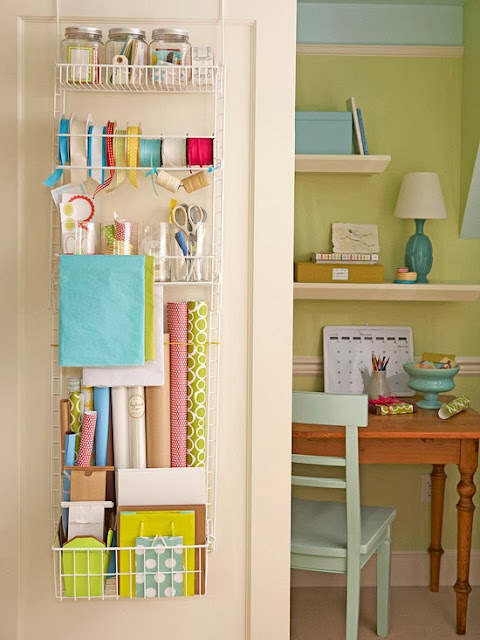 Use the back of a door to organize gift wrap and other craft supplies. It's a great use of space that would otherwise be wasted. 2. 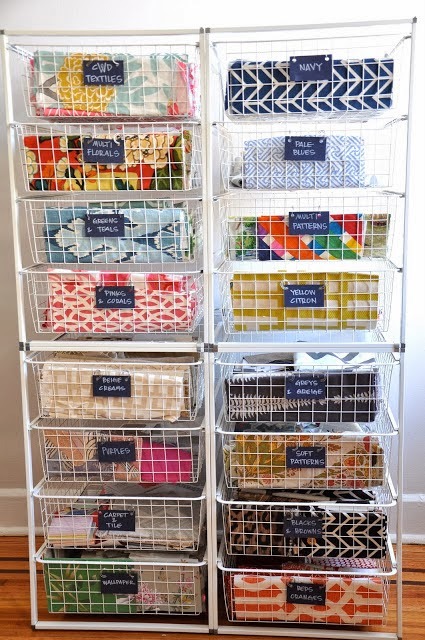 Store and organize fabric storage in large wire bins. 3. 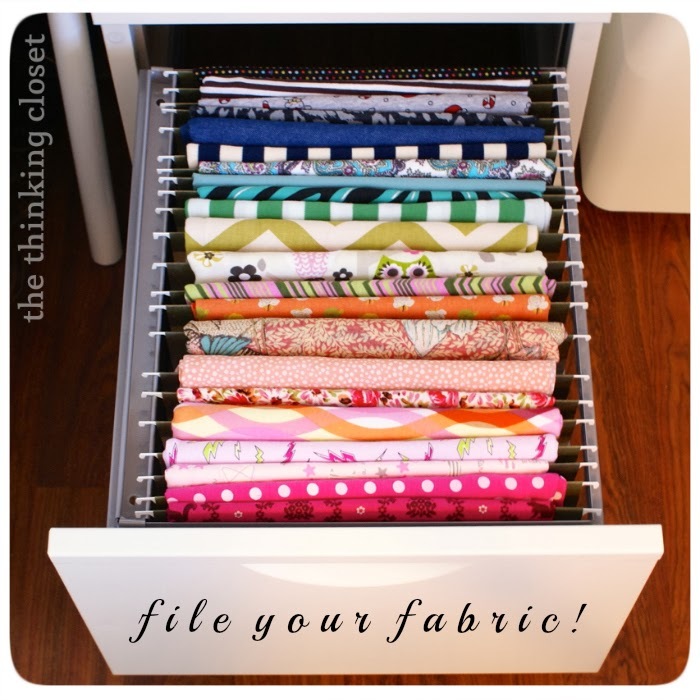 You can also wrap fabric around file dividers for unique and organized storage. 4. 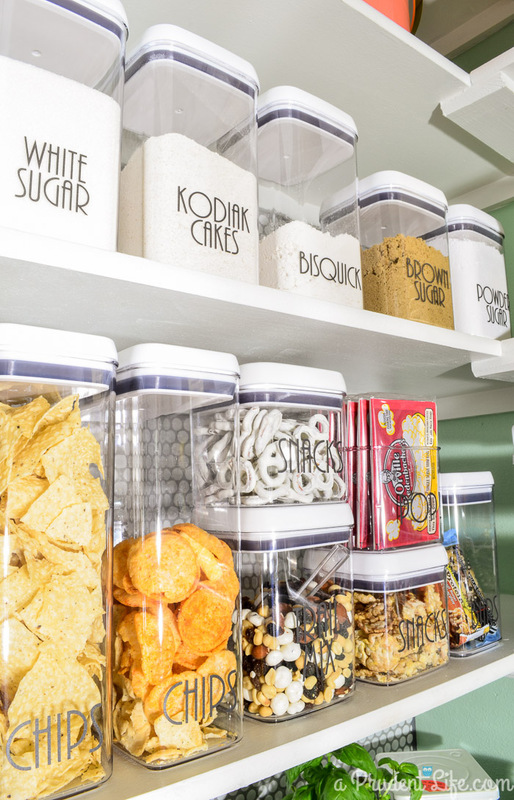 An organized pantry can go a long way in not only keeping your family organized but also saving them money as well. Have you ever bought groceries only to have them thrown in the back of a pantry or cabinet? When you finally realize what you have they've already expired and end up being thrown away. Yeah, been there. 5. My daughter loves to draw and make books of her drawings. 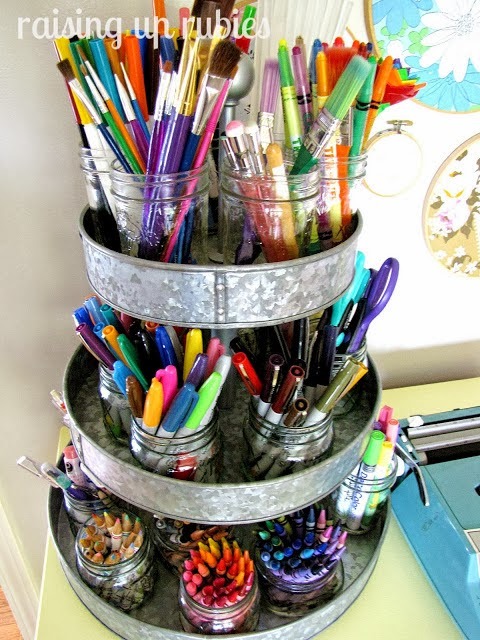 I love the idea of metal containers to keep art supplies organized. 6. Our laundry room is another place that desperately needs some attention in our house. 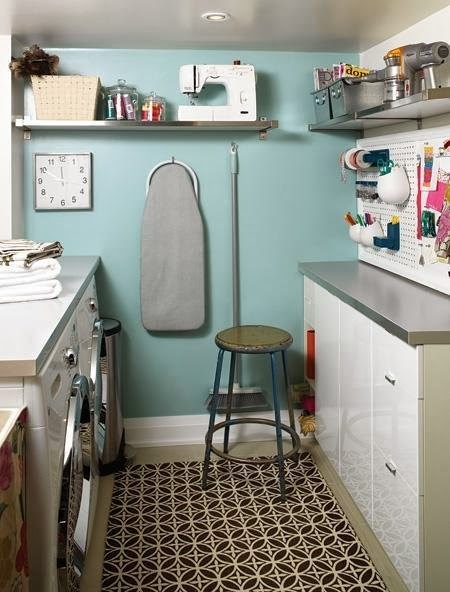 A laundry room that is not only organized, but stylish helps the never-ending task of washing, drying and folding somewhat easier. 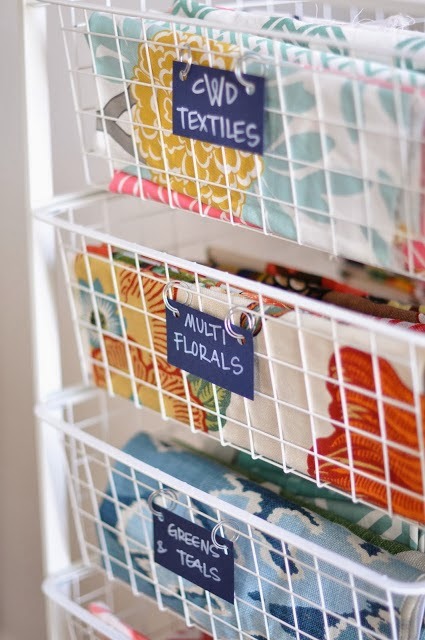 One of my goals this year is to keep our laundry room neat and free of clutter. If my laundry room looked like this I'm sure I wouldn't mind being stuck in there folding clothes day after day. 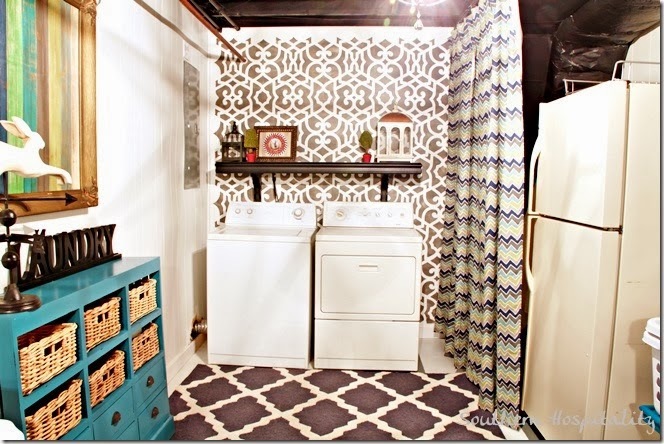 Even if your laundry room is in an unfinished basement it can still look amazing. If you want more organizing ideas you can check out my post here for how I use double-duty decor to effectively hide toys in our home.